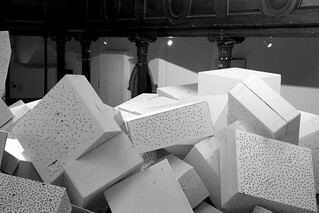 called "La Route Blanche" exhibited at Fabrica Art Gallery in Brighton, East Sussex. Part of a set of photographs. On the weekend of the 18th/19th August 2007 the structure of the installation was dismantled and then demolished. This is an image of the result.